Intel has announced that it will cease legacy BIOS support for PCs as the firm looks to fully transition to the more secure UEFI by 2020 – which is effectively the death knell for 32-bit software. This is a case of out with the old, in with the new: BIOS (Basic Input/Output System) being the old guard, usurped more recently by UEFI (Unified Extensible Firmware Interface) as the system that oversees the boot process of the computer (and more besides). Intel’s Class 0-2 versions of UEFI have included support for legacy BIOS via a Compatibility Support Module (CSM), but the company is going to make UEFI Class 3 mandatory, and this drops the CSM feature. That’ll happen in 2020, just over two years from now, and will mean that all new motherboards will have to run with UEFI Class 3 and therefore won’t be able to boot to a 32-bit version of Windows or Linux. You’ll need a 64-bit operating system. That goes for other 32-bit software, too – at least when it comes to running natively – and there will be compatibility issues with some older pieces of hardware as well. Which is why Intel has maintained CSM thus far. However, the time to change has been marked, as Intel seeks to streamline everything and fully lock in the more secure and sophisticated (not to mention faster booting) UEFI system, and push elements like UEFI Secure Boot. 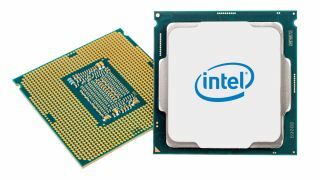 All this talk of security, however, may remind you that this week, Intel has suffered something of a PR disaster with the revelation that its modern processors (Skylake and onwards) have been hit by some mind-boggling vulnerabilities.